Stiff Big Toe or hallux rigidus usually develops in adults between the ages of 30 and 60 years. No one knows why it appears in some people and not others. In most people there is no definite cause - it just develops. Probably the main reason why this joint is particularly subject to wearing out is that it is under tremendous stress in walking. With each step, a force equal to twice your body weight passes through this very small joint. In a few people it may be caused by an injury or another medical problem such as gout or an infection in the joint. There are a lot of theories about why the joint becomes arthritic but as yet none of them seem very helpful in treatment or prevention of the condition. Hallux rigidus is arthritis of the main joint of the big toe in the ball of the foot. This joint is called the metatarsophalangeal, or MTP joint. It's important because it has to bend every time you take a step. If the joint starts to stiffen, walking can become painful and difficult. 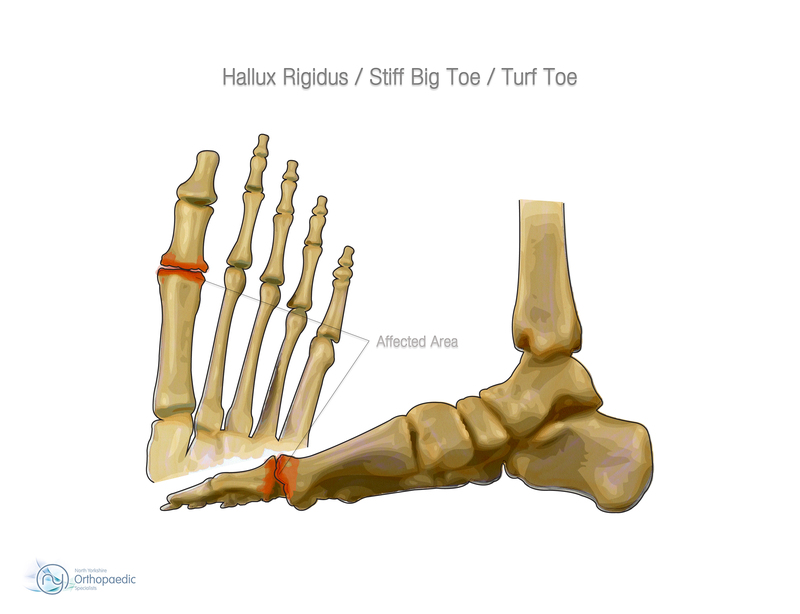 It is called "hallux rigidus" because its main feature is stiffness ("rigidus") of the big toe ("hallux"). Some people get stiffness in this joint with little or no obvious arthritis - this is called "hallux limitus" because the toe has limited movement but is not absolutely stiff. .
A bony bump ("osteophyte" or "dorsal bunion") may develop on top of the joint. This is your body’s natural response to the worn joint. The bump may rub on the shoes. In some people this is their only problem. If you find it difficult to bend your toe up and down or find that you are walking on the outside of your foot because of pain in the toe, see your GP or arrange to see an Orthopaedic Foot Consultant right away. Hallux rigidus is easier to treat when the condition is caught early. If you wait until you see a bony bump on the top of your foot, the bone spurs will have already developed and the condition will be more difficult to treat. Your Consultant will readily be able to diagnose hallux rigidus by a simple examination of your toe. You may be requested to have an x-ray which will show bone spurs and osteophytes and their relative size. Whilst there are a number of treatments that can provide relief, ease pain and reduce swelling, once you have the condition, it can only be permanently corrected through surgery. Pain relievers and anti-inflammatory medications such as ibuprofen may help reduce the swelling and ease the pain. Applying ice packs may also help reduce inflammation and control symptoms for a short period of time. Wearing a shoe with a large toe box will reduce the pressure on the toe, and you will probably have to give up wearing high heels. This surgery is usually recommended when damage is mild or moderate. It involves removing the bone spurs as well as a portion of the foot bone, so the toe has more room to bend. Your consultant is recognised as one of the leaders in minimally invasive surgery (MIS) in the UK, which is a way of applying keyhole techniques to established procedures normally undertaken as open surgery. The cheilectomy is very amenable to keyhole techniques. The surgeon starts by making a single incision just to one side of the big toe. The incision is the same diameter as a pencil lead (about 3mm) compared with the five centimetre incisions used in open surgery. Through this incision, the surgeon is able to create a little pocket over the ridge of arthritic bone. Then, the ridge (or osteophyte) is removed, using a high speed burr, which is a thin, narrow surgical drill. The joint is then meticulously flushed out to remove any bone debris. The procedure takes place under x-ray guidance. The incision is so small there is no need for stitches. 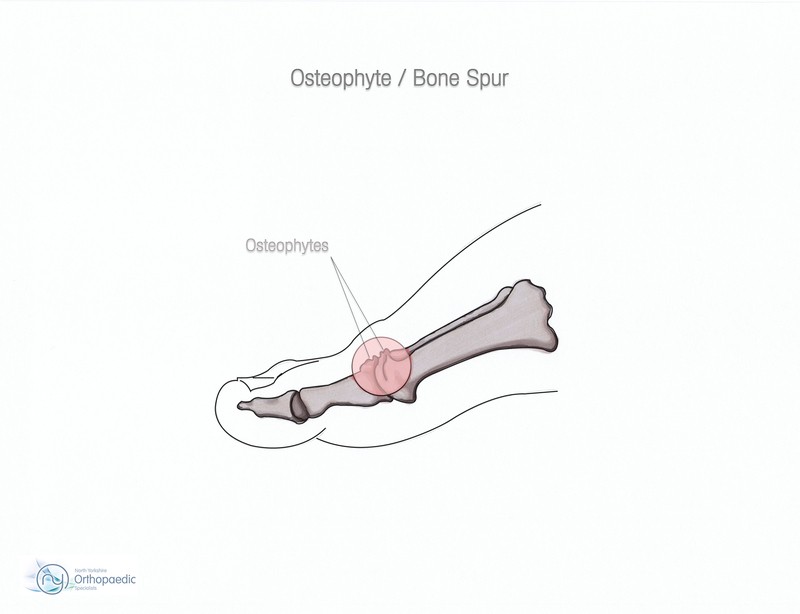 Either as a separate operation or at the same time as the cheilectomy, the bone in the base of your great toe (proximal phalanx) may be reshaped to make the most of the movement you have left. The toe and the operative site may remain swollen for several months after the operation, and you will have to wear a wooden-soled sandal for at least two weeks after the surgery. But most patients do experience long-term relief. The patient can walk straight away and can remove all the bandages at 48 hours after surgery (simply leaving a small sticky plaster in place). Patients are normally able to wear their own shoes again by the end of the first week and encouraged them to move the arthritic toe immediately. Most people find that they can return to normal daily activity within a few days of surgery. Fusing the bones together (arthrodesis) is often recommended when the damage to the cartilage is severe. The damaged cartilage is removed and pins, screws, or a plate are used to fix the joint in a permanent position. Gradually, the bones grow together. This type of surgery means that you will not be able to bend the toe at all. However, it is the most reliable way to reduce pain in these severe cases and 95% of people find the pain completely removed. A few people will go on to get arthritis of the small joint in the middle of the toe after a fusion, but this is not usually troublesome. There are a number of ways to replace the arthritic toe joint. A plastic ("silastic") replacement is the simplest, and useful for older people who don’t ask too much of their feet. However, it can wear out badly and be difficult to sort out if it does. Complete joint replacements made from metal, plastic or ceramic are promising but still experimental. They offer pain relief with some movement, but we don’t know how long they last or whether they are really any better than a fusion. 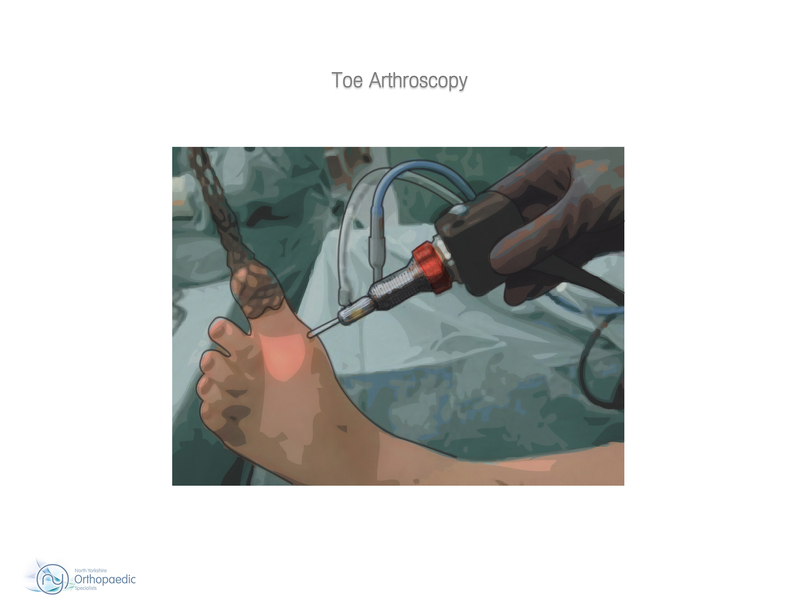 The simplest operation is simply to cut out the arthritic joint (Keller’s procedure) and leave the toe a little floppy. This can be quite successful in people who walk very little. However, in the more active person the toe may become deformed and pain tends to develop in the ball of the foot because of the weak big toe.